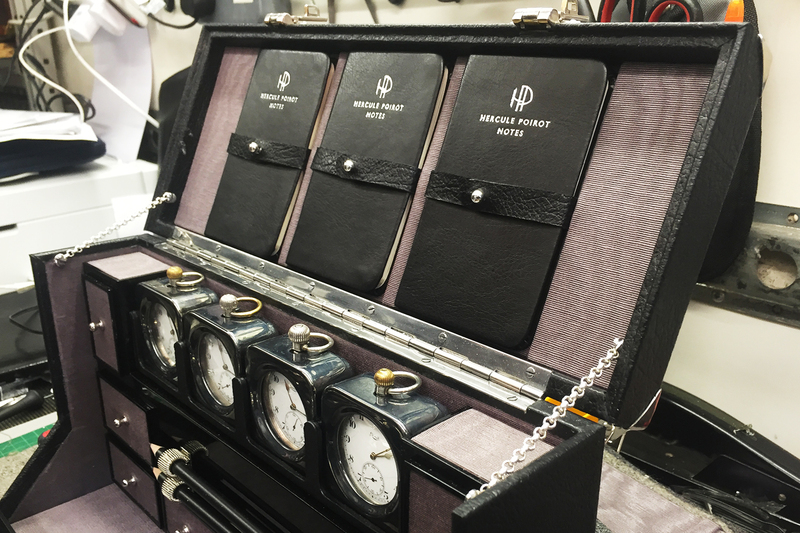 For Kenneth Branagh’s Murder On The Orient Express, we created the premium Moustache Grooming kit and luggage including a dressing case, a wardrobe and a hat box. 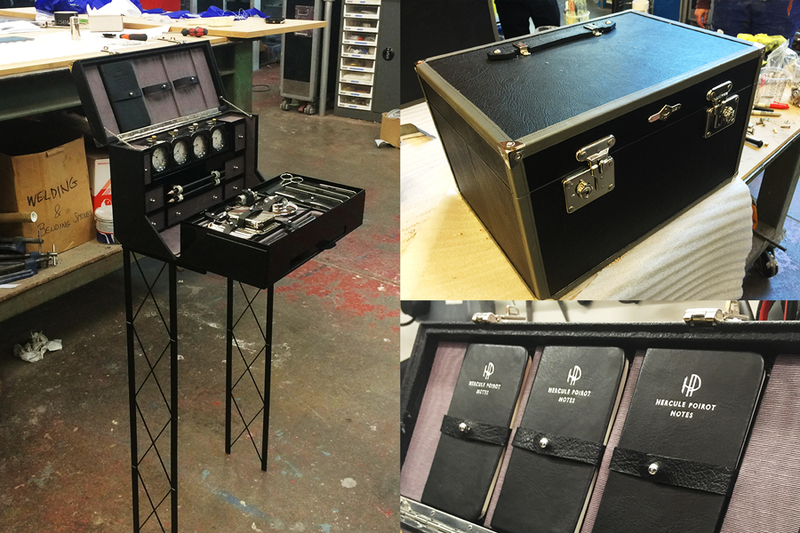 The brief was to create a wonderful set of luggage of the highest quality. We drew up in 3d then CNC machined the Moustache box in aircraft grade aluminium. Clad in thin black leather and lined with Moire. Some elements were original most were bespoke made in our workshop using CNC machines and traditional model-making techniques The metal work was monogrammed and plated to finish with some real silver detailing. We also covered various other props including intricately machined brass table tops, an egg measure.